The 1972 built Caribou was operating a cargo flight for the regional government of Puncak, operated by Trigana Air Services. It took off from Timika Airport at 07:57L for Ilaga where it was due to land at 08:22L. Straight distance between both airports is 56 nautical miles, equivalent to approximately 25 minutes flying time. The aircraft was laden with contruction materials and a cement mixer carrying a total weight of 3,1 tons. At 08:23L the pilots of PK-SWW established first contact with Ilaga tower predicting their arrival at 08:27L. 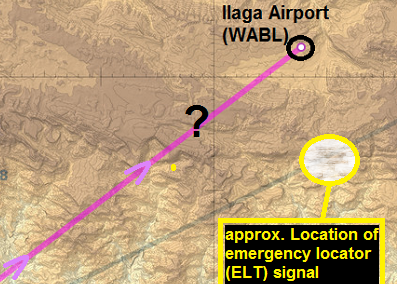 At 08:30L Ilaga Tower controller contacted PK-SWW but never got an answer. Other aircraft in the area were ask to contact the flight, but also to no avail. At 09:20L ALERFA alarm was raised and search operations began. 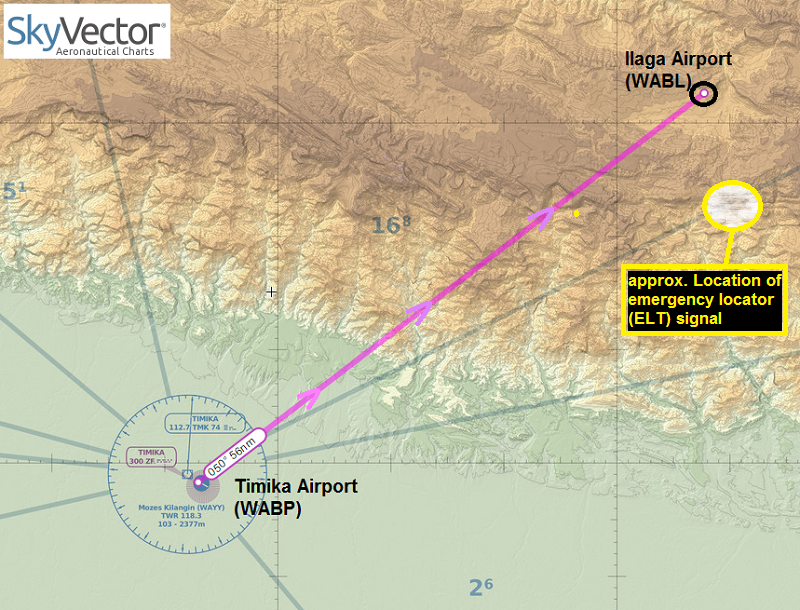 At 09:22L Timika Tower picked up an automated Emergency Locator Transmitter (ELT) signal. At 09:31L a Susi Air PC-6 Porter (PK-BVM) approaching Timika also reported the indication of an ELT distress signal at location: S 04° 06′ 027″ / E 137° 38′ 79″. 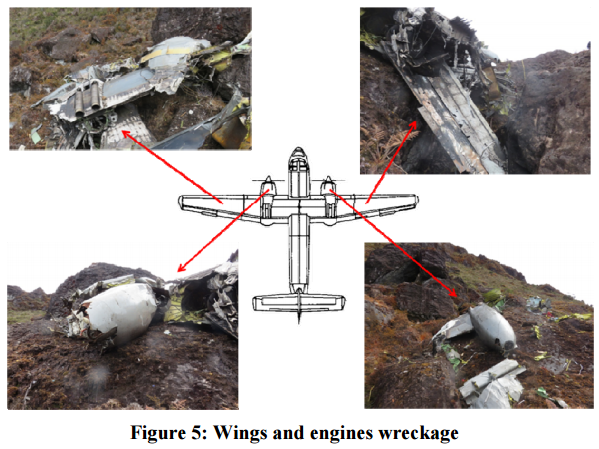 Late afternoon that same day, the scattered wreckage of PK-SWW was found on a mountainside at 12,800 ft. about 7 NM south of Ilaga by a search plane. There were no signs of any survivors. 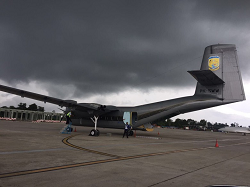 The aircraft in question was ferried to Indonesia from the United States in May 2016 to operate supply flights to challenging Ilaga Airfield (elevation 7500 ft , runway lengh 1600 ft (490 m)).